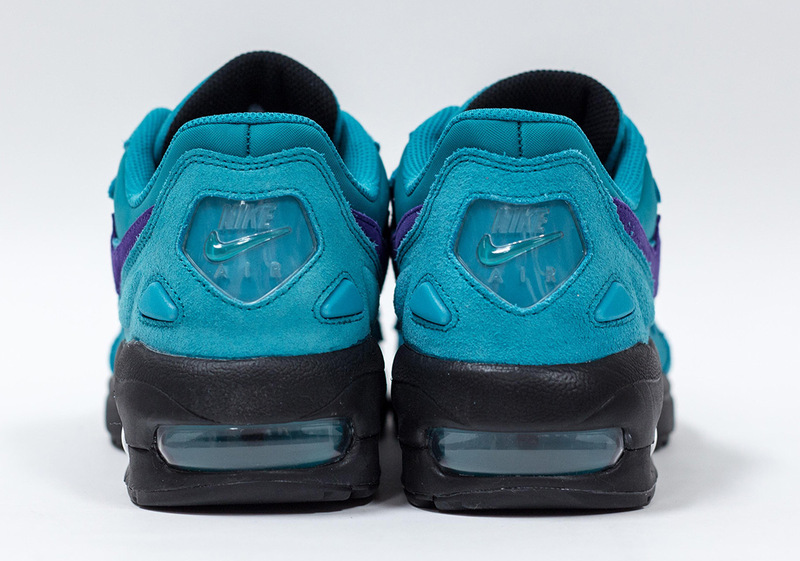 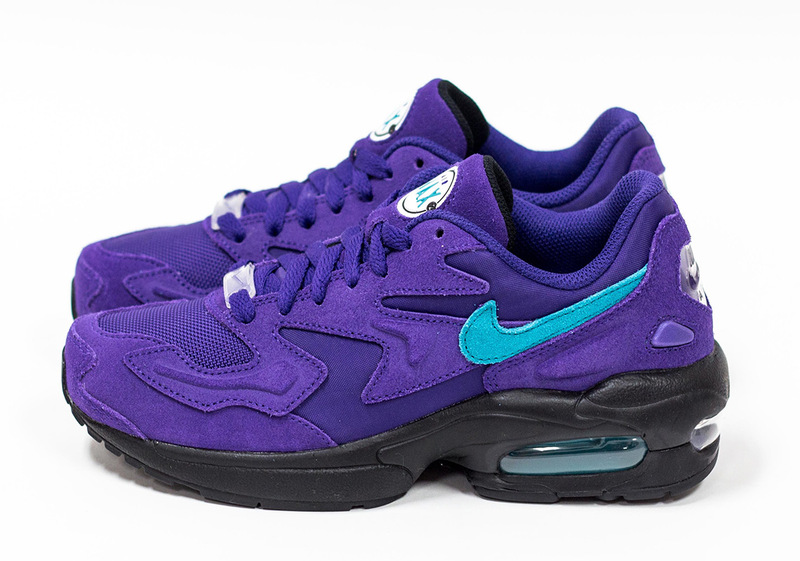 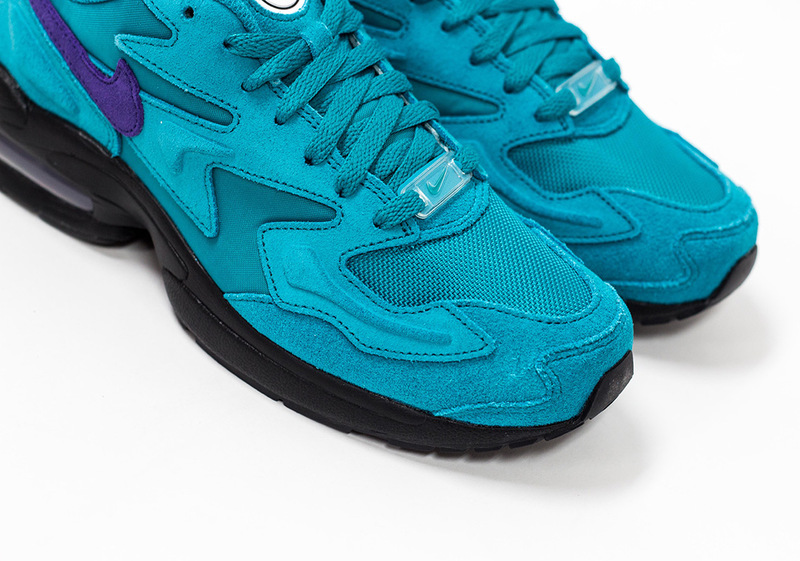 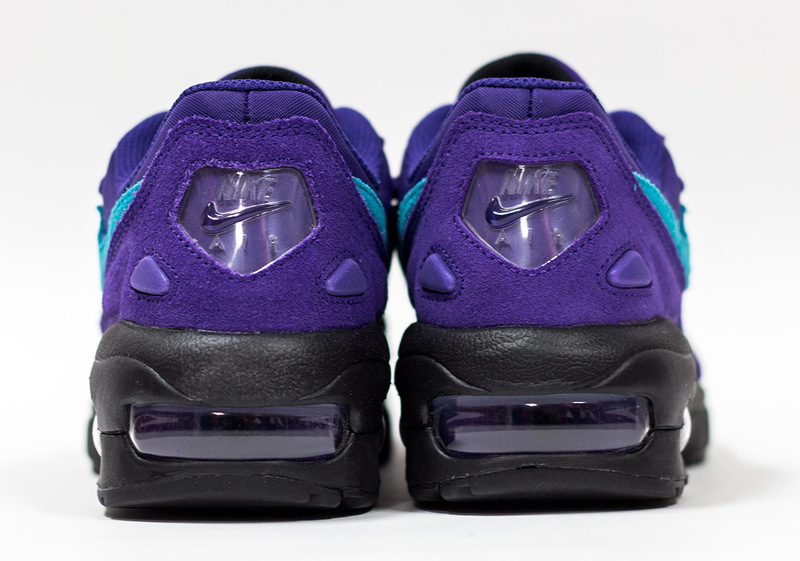 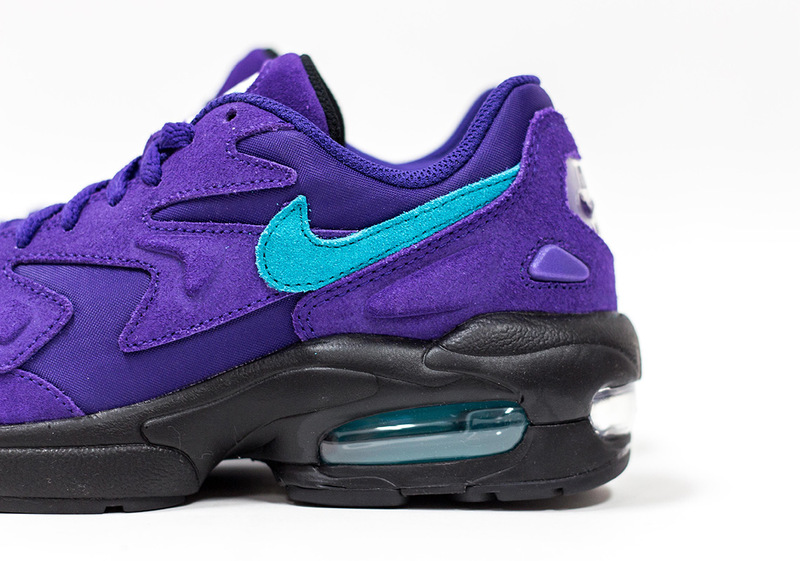 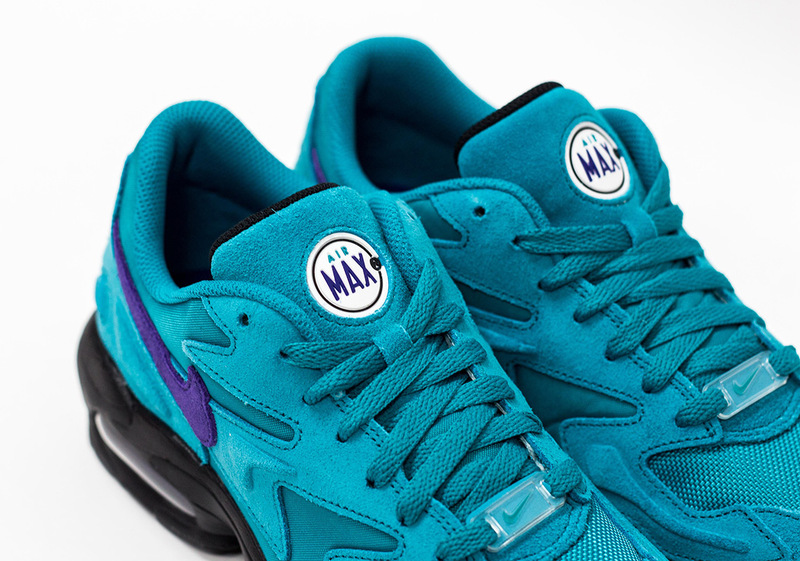 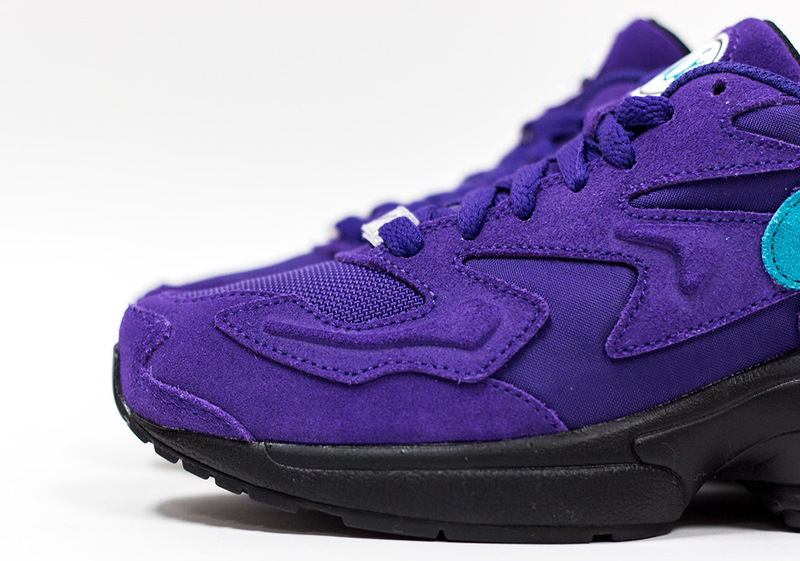 The return of Nike’s Air Max 2 Light silhouette is the perfect example of today’s current adoration toward the 1990s era, and the two-piece “Hornets” pack you see here further exemplifies this notion. 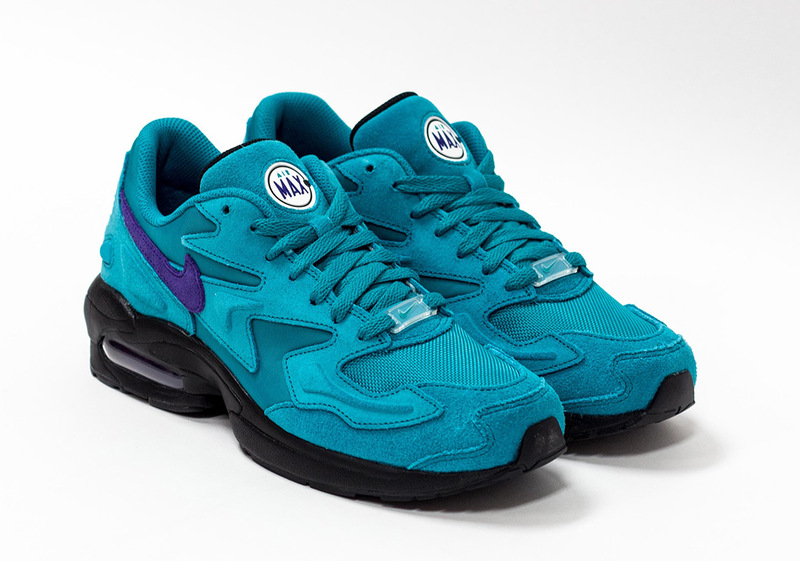 Charlotte’s home-town Hornets dress up in some of the brightest uniforms in the Association night in and night out, combining the Spirit Teal and Court Purple colors you see here harkening back to the pre-Bobcat Muggsy Bogues and Alonzo Mourning days of old. 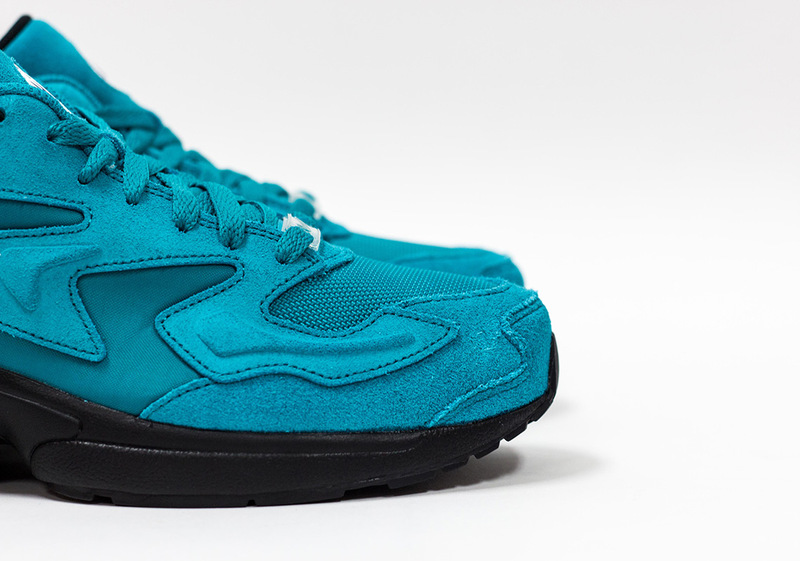 While leather underlays have taken shape on the GR colorways that have released over the last few weeks, this set equips a suede-on-suede construction with hits of mesh on its toebox as well. 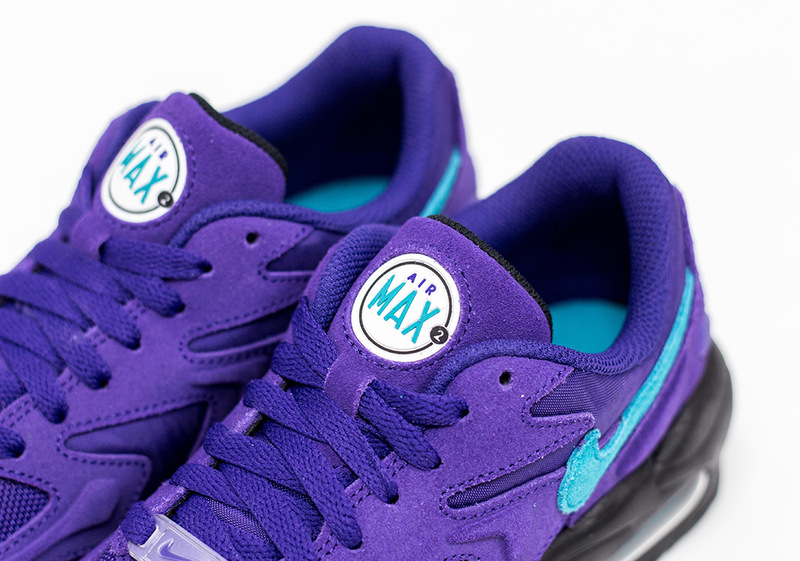 Devoid of any contrasting white tones other than its signature tongue emblem, these Air Max 2 Lights are arguably two of the most boisterous Sportswear designs of the early part of 2019. 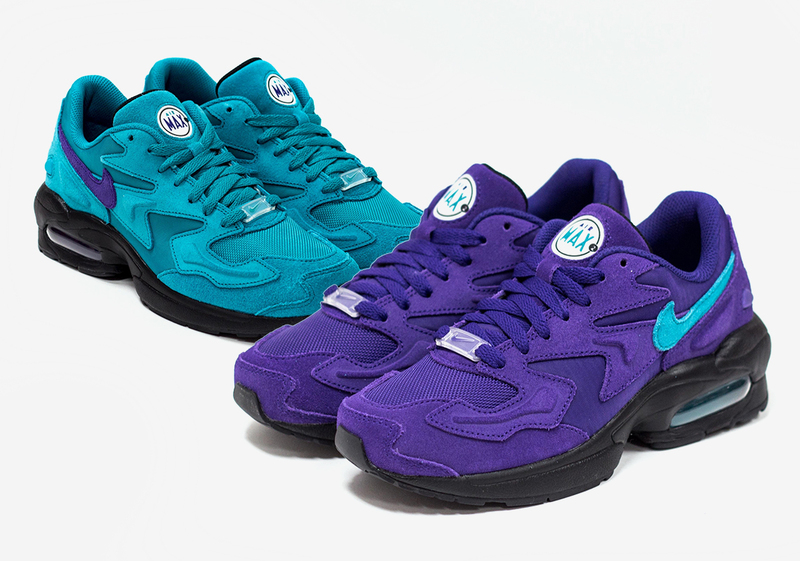 While both of these Queen City-friendly selection are expected to release globally on February 23rd, they are currently available early from Rock City Kicks in both colors for $140 USD.